I’m trying to keep up with this Inktober thing, work full-time and have time for my artwork. I like fall because it seems to slow things down for me. I bought this metallic leaf print scarf and hope I actually get to wear it. 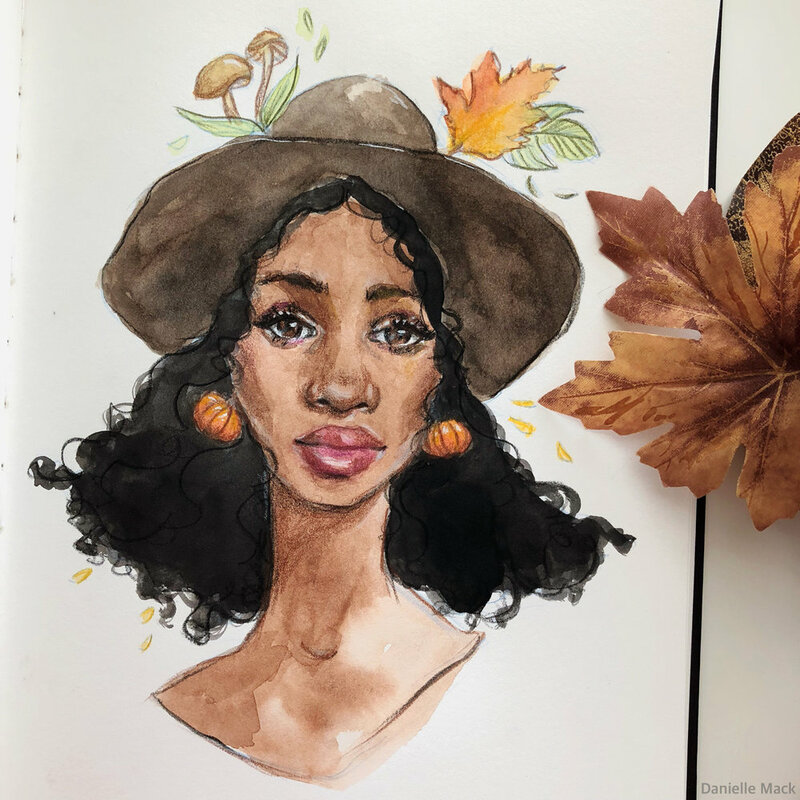 I painted a fall girl with pumpkin earrings and recorded it for you. I thought they were so freakin cute! It’s a private video over on Patreon, so go check it out. This painting is inspired by my older sister, Dana. She’s that sister that has to put no effort into her outfits and still manages to look amazing. Are you having trouble with your watercolor paintings? I can show you how to push through a “bad painting” and keep going. Dont’ worry about rules or making it look perfect - cause all you have to do is paint. Let me know how you are doing. I know you’re busy but drop me a comment below and tell me about your day.